This topic contains 1 reply, has 2 voices, and was last updated by Quantum Chef 2 years, 1 month ago. I made a cheese sauce using sodium citrate. It came out great. It’s smooth, it’s supple, it’s super flavorful. The only problem is that when I hold it hot, it gets very thick. Any tips on how to keep it from thickening? You mean when you hold it hot for a long time before serving? 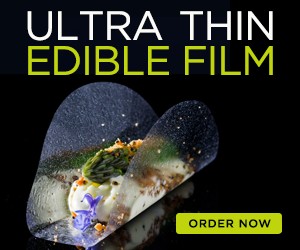 Join our community of over 240,000 fans and master the latest molecular gastronomy techniques. Email once or twice a month. Unsubscribe at any time with a single click.